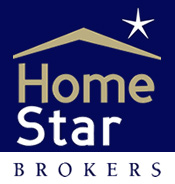 HomeStar Brokers - To Stage or Not to Stage, That is the Question. Most People assume that staging a home prior to marketing it is always better and creates an inviting setting for prospective buyers. Remember, however, to consider if the home is a long term resale or a fixer/flipper type home. In the case of appealing to investors it may be best to leave it as clean as possible with as many of the “good bones” showing through on their own merit but not staging it with cool Kitchen gadgets and over the top outdoor living spaces. Having it staged may indicate a different motivation from the seller so do put thought into the process. A staged home may unintentionally eliminate a sector of the buyer pool. If your home is large and cavernous then by all means bring in some large anchor type pieces to make it feel inviting but don’t crowd a small room and make certain the decor matches the style of the home or at lease compliments it. Many professional stagers do magical things with an otherwise boring space and help to sell a home much more quickly. However, stop and think before you stage what your goal is and if maybe instead of an exhausting elaborate process maybe what your home needs is an honest price correction, a coat of paint or perhaps a painting to draw the eye away from the nasty neighbor’s yard! A Realtor with a good eye should be able to tell you whether no staging, moderate staging or the need of a professional stager is in order.